Funding your graduate program (Master’s degree) abroad could be a significant financial investment. However, international students have a wide range of options to cover the costs of a Master’s degree abroad – assistantships, scholarships, bank loan, sponsorships. In this post, we will talk about the potential ways to fund your studies for a grad school abroad. Grad school debt can affect your finances long after graduation. Borrowing too much can negate the post-degree pay raise as well. 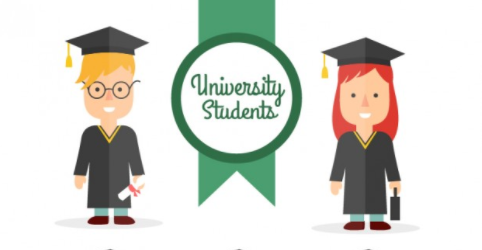 So, if you are preparing for Graduate school or are joining one and are worried about the financial costs and implications, please read on and evaluate the different methods you can follow to get financial assistance to study in your dream university. Graduate programs typically award scholarships and fellowships based on merit. Numerous options are available. However, the key is to get started as soon as possible. Submitting an application (for admission) can unlock many doors for getting scholarships and financial aid. Check with the financial aid office of the university (or department/school), or the graduate admissions office for available options. Sometimes, it is also possible to get a tuition fee waiver later on. So, don’t feel shy to contact the appropriate authorities once you get the admit (offer letter). Assistantships (also known as Studentships in the US) provide financial support while you are earning your degree. Assistantships allow working part-time within the campus, approximately 20 hours a week. An assistantship is also a great way to hone your professional skills while earning to pay for your tuition. Normally, there are three major types of assistantships. Graduate Assistant (GA) or Teaching Assistant (TA): GAs and TAs typically have teaching‐related responsibilities, such as assisting in classrooms or labs, facilitating teaching and discussion sessions, seminars or grading papers. TA and GA are mostly common for Liberal Arts and Business Studies. However, you can also secure a TA or GA within the Engineering or Life Sciences School. Graduate Research Assistant (GRA) or Research Assistantship (RA): GRAs have research‐related responsibilities, generally in their field of study. You will stay in constant touch with Professor (Principal Investigator) and work closely with Postdocs and Research Assistants (also known as Lab-Techs). These positions tend to be more common in research-intensive fields such as science and health. Graduate Student Assistant (GSA): GSAs have varied responsibilities, including research not related to their own dissertation research. These positions are however not that common like GA, TA or GRA. Assistantships are particularly common in STEM subjects; assistantships are cost-effective for the university and provide valuable teaching and/or research experience for the student. The assistantships may be funded by the university department or your supervisor’s research budget, or by an external funding body with vested interests in a particular field of development. Sometimes professors choose their own TAs, whereas some schools allow individual departments to review applications and make assistantship decisions as a whole. You will receive payment for assistantships through a stipend or in the form of partial tuition fee waiver. You must maintain their GPA, graduate-related credits and academic progress towards their degree while participating in an assistantship program. In order to bag assistantships, you need to be very proactive. You need to start contacting the Professors, Graduate Director or Department Secretary 12 – 18 months before the program commencement. You need that much time to figure out the application and review process. As discussed earlier, you must submit application much before the application deadlines. Always do some personal research. 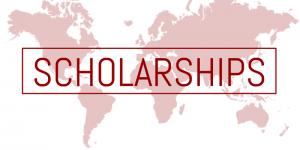 Use online scholarship database like FastWeb, Peterson’s Scholarship Database, Scholarship Experts, Zinch, ScholarshipPoint, Cappex, Scholars4dev, Niche, Scholarships.com, Scholarship Monkey, CollegeNet.com, Institute of International Education (IIE) etc. Harvard University, Yale University, MIT, Clark University, Emory University, University of Wisconsin, University of Oregon, University of Iowa and many more. UBC, York University, University of Manitoba, Humber College, Concordia University, Carleton University, Dalhousie University, Sheridan College, McGill University, Conestoga College, University of Waterloo, University of Calgary. Unlike merit-based scholarships, grants (also known as bursaries in the UK) are usually based on financial circumstances. You will not be working as TA or GRA, and you also don’t need to repay back the grant. USA, Germany and few EU countries do provide generous grants to international students. Typically, need-based grants are available for students with a low personal/family income, and for students with disabilities. An education loan could be very handy in for funding your graduate studies abroad. However, it would be wise to avail a bank loan for covering only a part (it could be the lion share) of the total expenses (fees and living expenses). Firstly, you do need to repay what you borrow and that also along with a significant interest. Secondly, you need to provide collateral security (along with guarantor) as well. Besides, the nationalized banks in India do not provide a bank loan of more than INR 20 Lakhs. However, banks loans are still pretty useful. Assume you have secured a partial scholarship or assistantship, and now looking for another source to fund the remaining costs. In that case, education loans from banks are very handy. Avanse: Avanse is one of the most popular bodies in India and a part of the DHFL group. Avanse loans can cover up to 100% tuition fees and other costs. The interest rates are floating in nature, and processing fees will be valid as well (1 – 2% of the total loan amount). Know more about Education Loans for Study Abroad from Avanse. 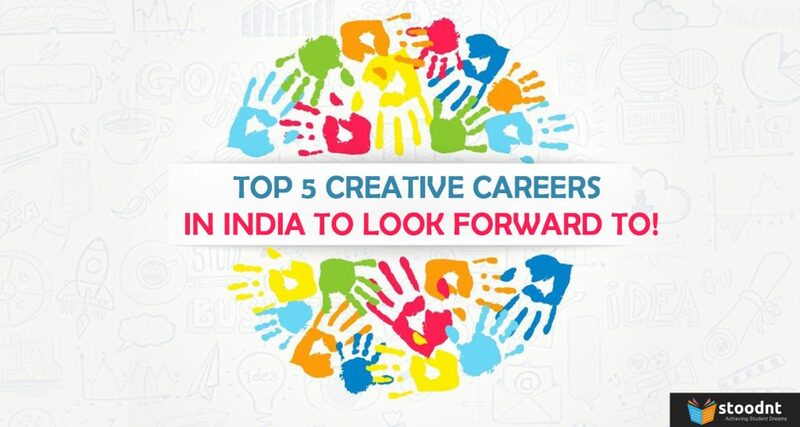 Credila: Credila is a subsidiary of HDFC Bank and offers loans to Indian students for abroad education. The loans are disbursed with a floating rate of interest (little less than Avanse), and repayment period can be extended to 10 years. However, Credila loans require extensive supporting paperwork. Global Student Loan Corporation (GSLC): The GSLC can provide loans to international students for study in the US without the requirement of a co-signer. International Student Loan Program (ISLP): The ISLP is a specifically designed program for the international students who are looking at to study in the US. The loans cover tuition fees and other expenses. 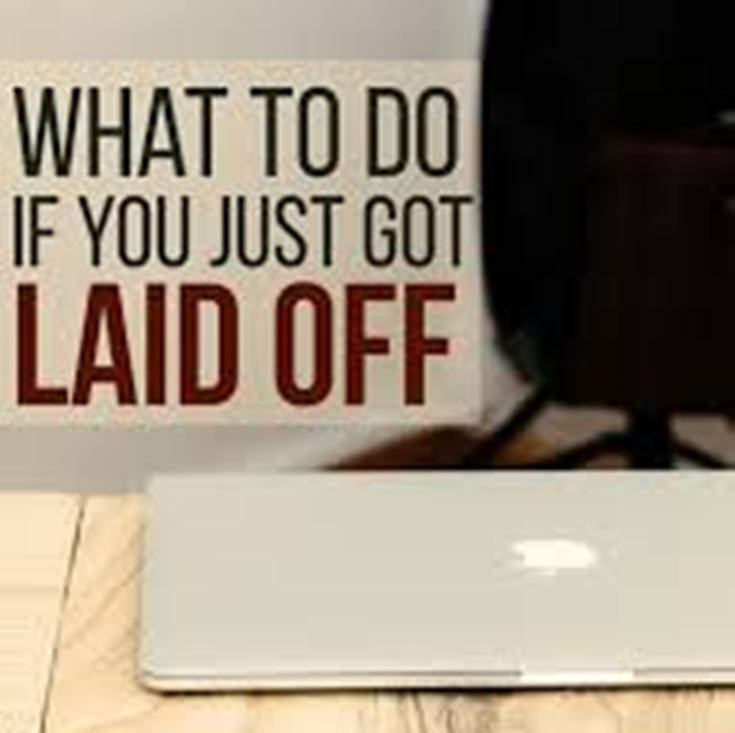 You can borrow as little as USD $1, 500, and the repayment period can be extended to 25 years. ISLP does need a co-signer. The Internet has now made almost everything possible. Nowadays, students are using the Internet as a medium to garner donations from friends, family and anonymous donors, which is called as Crowd Funding. What you do is, write and tell people why you want to go for the academics of your choice and how badly you want it – If it’s convincing enough, then make way for all the Crowd Funding as much as you can. Do your research – See how does Crowd Funding work. Also, what amount will the website are taking from your donations. Set an achievable goal – Platforms will take a higher percentage if you don’t achieve your goal. So, keep it realistic! Promote your campaign – Social media is the easiest medium for promotions. So, try to reach out to blogs or publications that may be interested in featuring your campaign and grab eyes on your approach to make the most out of it. Personal Sponsorship: If on a personal level, someone can sponsor your studies, then for sure your college life is good to go. 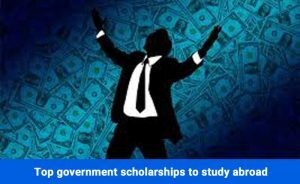 But, if not, then, in terms of official sponsorship or private sponsorship – the situation in U.S. adheres to – According to Society for HR Management, almost 52% of companies (based in the US) offer tuition assistance for job-related courses. Generally, in more typical fields like business and education, employers’ funding help about 15 % of grad students to pay for their school. So, you can definitely look for sponsorship as a viable option. Sponsorship from Employer: If you’re starting your postgraduate studies after a period of work, you could ask your employer to sponsor your education. Most companies are supportive of staff training and development, and may even have a budget set aside for the personal and professional development (PPD) of their employees. Professionals requiring further education to become fully qualified include accountants, architects, engineers, social workers, lawyers, and teachers. Employers will be more supportive if you demonstrate that your aim is to improve your ability in the workplace, advance your career prospects, and/or aid your long-term development within the company, rather than simply indulging your own academic or personal interests. If you do use this route, you may need to sign an agreement which will tie you to the company for a specified period after graduation (usually one to two years). Also, make sure to have a payback plan: If your option is to take out loans, then have payback plans with potential durability. Check your financial stats and compare it with the cost of your academics – as nearly half of all grad students (U.S.) take out loans, particularly in professional fields, where average debt levels exceed almost $100, 000. 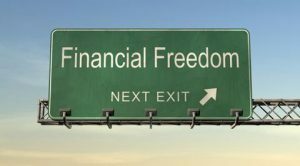 Therefore, if you don’t want to go bankrupt, then plan to spend and use your loaned amount properly. 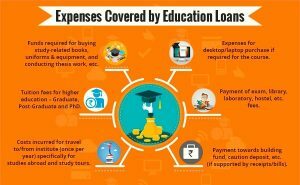 For example, during my Master’s studies, the total expenses (tuition fees, accommodation, travel and living expenses) were coming around INR 17 – 18 Lacs. 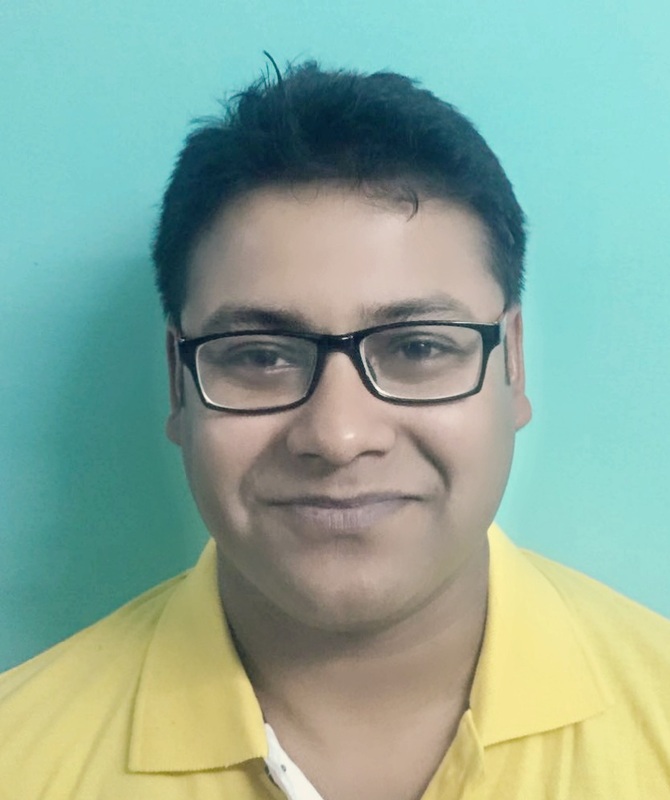 I used up around INR 13.5 Lacs from bank loan (I did manage to get a bank loan of INR 17 Lakhs) and managed the rest through partial scholarship and part-time work. At the end, I repaid INR 18 Lakhs. So, if I had used up 17 Lakhs, I had to pay something around 24 Lakhs. So, these were a few potential ways by which you can fund your studies abroad. Also, if need any personal guidance or have any other educational queries regarding studying abroad, then feel free to get in touch with Team Stoodnt. You could also post your queries related to study abroad or scholarships here.